Here is a mysterious and exotic song, chosen to illustrate the aristocratic beauty of English actress Joanna Lumley. Joanna Lamond Lumley (born in 1946) is best known for her roles in the British television series "The New Avengers", "Sapphire and Steel", "Absolutely Fabulous" and "Sensitive Skin". She is also a former model, a human rights activist, and an animal welfare activist. She was born in Srinagar, India. After the independence of India in 1947, the Lumleys moved to Malaya (now Malaysia) and later settled in Kent, England. Lumley was educated at St Mary's School in Hastings, East Sussex, England, and afterwards attended the Lucy Clayton School of modelling. Tall, slim and blonde, she spent three years as a photographic model. 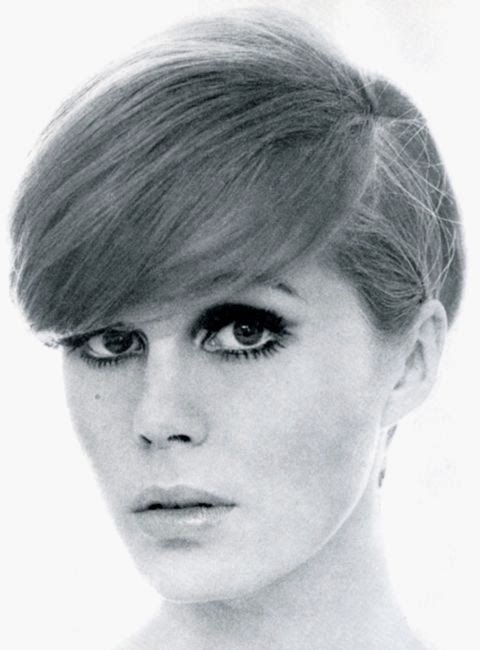 She also worked as a house model for Jean Muir. Lumley appeared in an early episode of "The Bruce Forsyth Show" in 1966. Lumley did not receive any formal training at drama school. Her acting career began in 1969 with a small role in the film "Some Girls Do" and as a Bond girl in "On Her Majesty's Secret Service"; she played the English girl among Blofeld's 'Angels of Death'. She went on to have a brief but memorable role in "Coronation Street", in which her character turned down Ken Barlow's offer of marriage. She played in 2 episodes of the series "Are You Being Served?". She also appeared on the big screen in "The Satanic Rites of Dracula" (1974), starring Peter Cushing and Christopher Lee. Throughout her career, she has specialised in playing upper-class parts, and her distinctive plummy voice has reinforced this. Lumley's first major role was as Purdey in "The New Avengers", a revival of the secret agent series "The Avengers". In 1979 she appeared in another series which acquired a following: "Sapphire and Steel", with David McCallum. Conceived as ITV's answer to "Doctor Who", Lumley played a mysterious ephemeral being who, with her collaborator, dealt with breaches in the fabric of time. Over a decade later, Lumley's career was boosted by her portrayal of the louche, solipsistic and frequently drunken fashion director Patsy Stone in the BBC comedy television series "Absolutely Fabulous" (1992–1996 and 2001–2004). Other work has included: "Trail of the Pink Panther" (1982) and "Curse of the Pink Panther" (1983), "Shirley Valentine" (1989), 3 episodes of the series "Lovejoy" (1992), "In the Kingdom of the Thunder Dragon" (1996), "A Rather English Marriage" (nominated for a BAFTA for Best Actress 1999), "Dr Willoughby" (1999) and "Maybe Baby" (2000). She has demonstrated her ability to go beyond stereotypical images, most notably in the monologue series of playlets "Up In Town" (2002), focusing on a society hostess's realisation that her star is fading. Lumley stars as the elderly Delilah Stagg in the 2006 sitcom "Jam & Jerusalem". In July 2007 she starred in the second series of the drama "Sensitive Skin" where she played the main character. As the possessor of one of the most recognised voices in the United Kingdom, Lumley has gained prominence as a voice-over artist. In 1999 she appeared in the Comic Relief Doctor Who parody "The Curse of Fatal Death" as the final incarnation of the Doctor. In 2005, she published her autobiography "No Room for Secrets". Joanna Lumley has been a supporter of Survival International and the cause of indigenous rights. Lumley was awarded an OBE in 1995. She is also a Fellow of the Royal Geographical Society. She was made an honorary Doctor of Letters by the University of Kent in July 1994. In 2006 she was awarded an honorary degree from the University of St. Andrews and in July 2008, she was also awarded an honorary doctorate from Queen's University Belfast. She is a vegetarian and a keen supporter of animal rights charities. Lumley was named an Honorary Patron of the University Philosophical Society, Trinity College, Dublin. Enjoy the lovely Joanna Lumley's great charm! I used to enjoy The New Avengers! I also loved her in Ab Fab. She is so cool.